The exhibit was open from November 6th through November 20th 2014 in the Winter Garden and lobby of 250 Vesey Street, Brookfield Place. 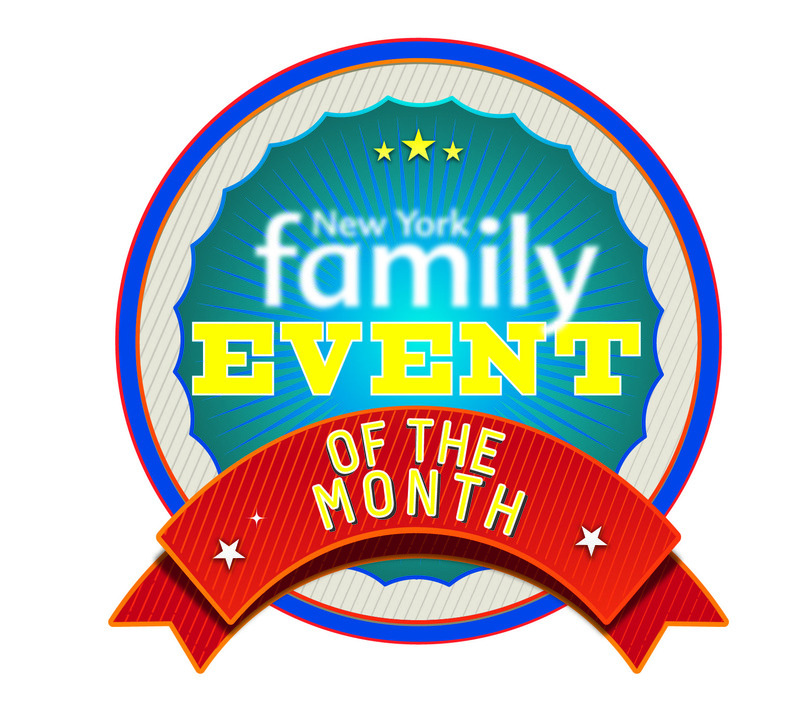 New York Family selected Canstruction New York as one of their events of the month for November 2014. Read about it on their site. 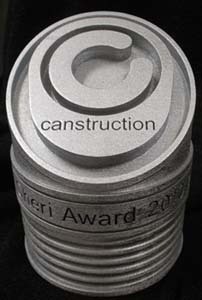 The Cheri Award was given to CetraRuddy for their entry The Thinker. 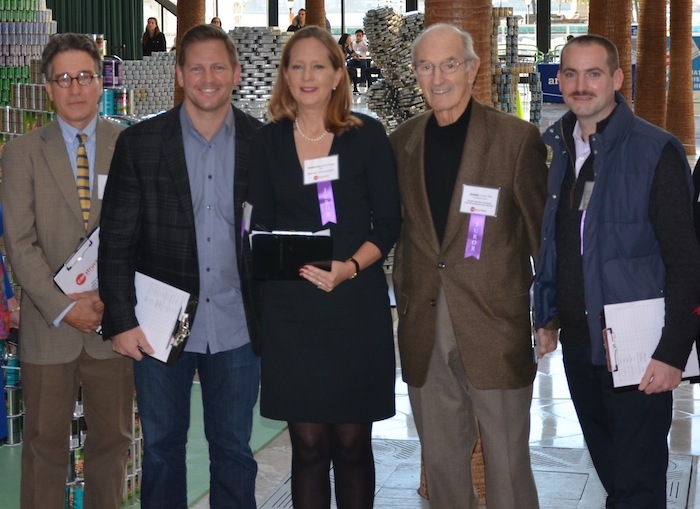 This was the fifth annual awarding of this prize named for Canstruction Founder, Cheri C. Melillo. Each year the criteria for this award changes and is awarded by the organizing committee or its agents. Cheri’s son, Brion van Over, and husband, Bruce Melillo awarded this year's prize to a team that has embodied the perseverance that Cheri was known for. 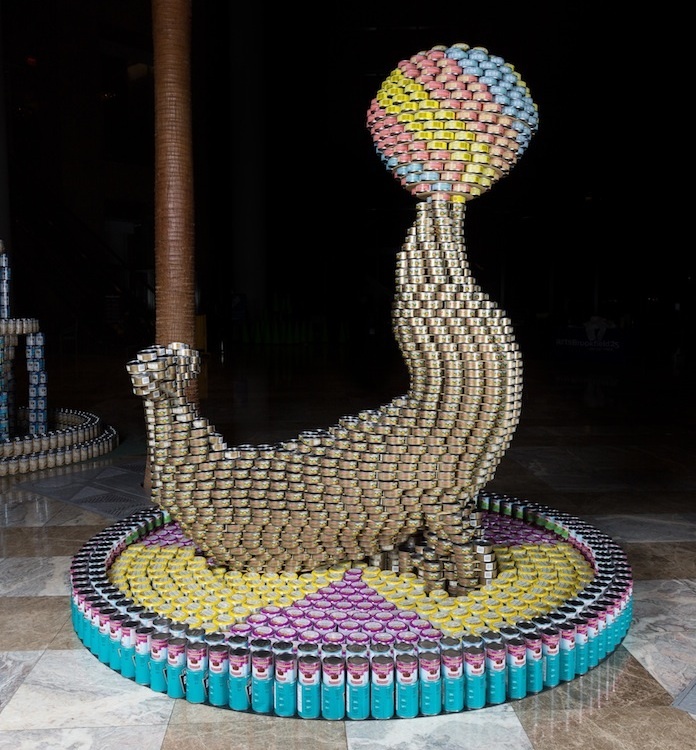 Congratulations to all of the winners and thank you to everyone who made the 22nd Annual New York City Canstruction Design/Build Competition possible. Canstruction New York canstructures do well in Atlanta! 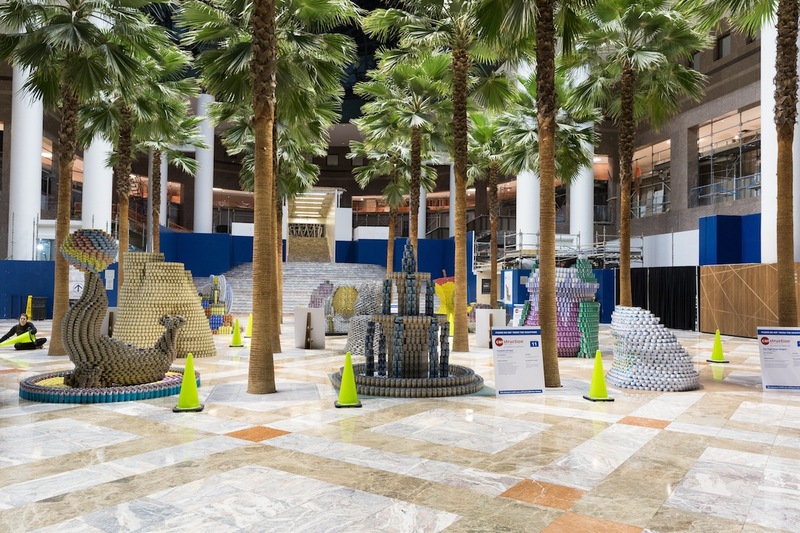 Local teams Gensler and Leslie E. Robertson Associates (LERA) won Honorable Mention for "A Balanced Meal" and the Jurors' Favorite Award for "Hungry to the Core" respectively for their canstructures in the 2014 - 2015 International Canstruction Competition! Congratulations to all those involved. Contact us at email@CanstructionNY.org if you have any questions or comments. 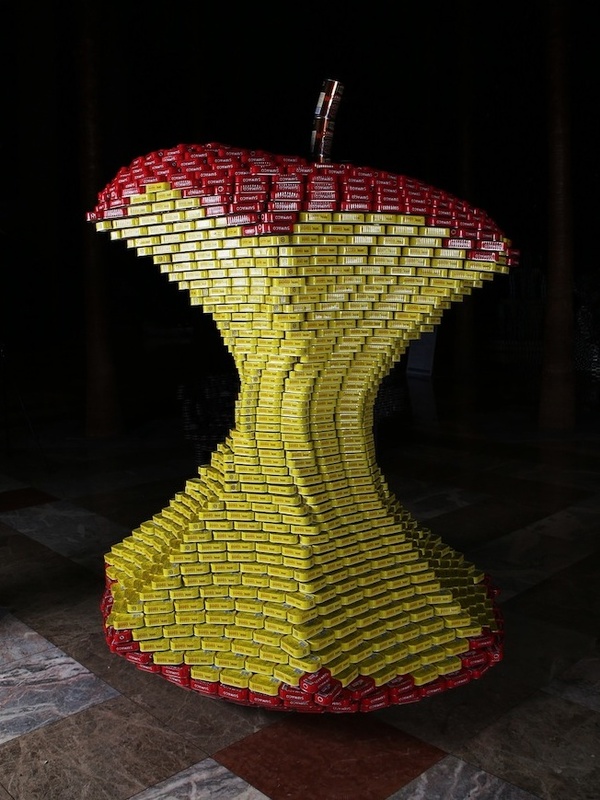 The Canstruction® New York exhibition is presented with generous support from Brookfield.